Welcome to 2014 and the last leg in our Road Trip SA series, we hope you had a fabulous festive season and now that the New Year is firmly underway we were hoping to get your hearts racing with new travel goals for this year. For the foreigners reading this blog, we hope to reveal some of South Africa’s hidden gems to you and inspire you to visit this glorious country. Last time we left off as we entered Hogsback, a small magical town with a fascinating history situated high in the hills of the Eastern Cape. 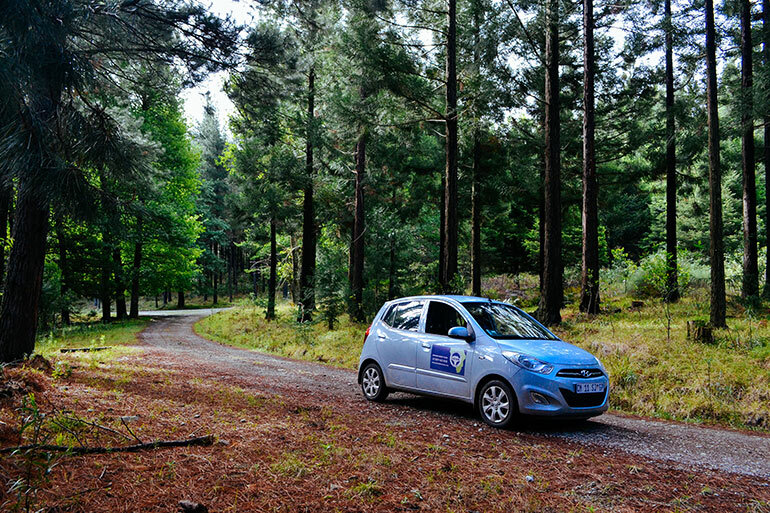 Hogsback transports you to a time of wonder; the feeling is tangible as you drive in over the single strip of main road. After our drive from Chintsa, checking into our accommodation was priority and we found the quaint and peculiar “Away with the Fairies Lodge” to be just what we were looking for. The chalets themselves are almost hobbit-like in true Tolkien fashion and come equipped with small doorways, baths and fireplaces. The grounds are absolutely breath-taking and come with a wood-heated bath on the edge of a cliff with the best views on the planet – you heard right! The next day we entered the enchanted forest on foot with a guide and a small group and hiked up to one of the many interesting waterfalls in the area, Kettle Spout. Through thick foliage and lush green we walked learning of the ancient Yellowwood trees (South Africa’s National Tree) and Samango Monkeys that inhabit the area, truly fascinating. Later on, high on fresh air and river water we decided to tackle the famous Madonna and Child Waterfall, which has been named as such because when the water flows slowly you can see a feature in the rock that looks just like the sculpture itself. The water flow was far too strong to see this when we were there but took nothing away from its ravishing beauty. Other activities included a mountain biking day trip through different sections of the huge forest, walking through the labyrinth and exploring the arboretum. Though tiny and with a population of just over a thousand, Hogsback comes equipped with all the essentials you’ll need when visiting – a small shop, petrol station, lots of accommodation, friendly locals and a few truly excellent restaurants. From Cape Town it’s a mere 10 hour drive along the N1 and about 2 hours inland from Port Elizabeth. If you haven’t been to this magical town, 2014 should be the year you visit. It was one of the outstanding highlights from our trip around the country.